A fleeting glance is all it takes: you have inadvertently mistaken a window for an open passage. You can avoid this problem in next to no time with d-c-fix window films. You can apply the films very easily using the following tutorial. 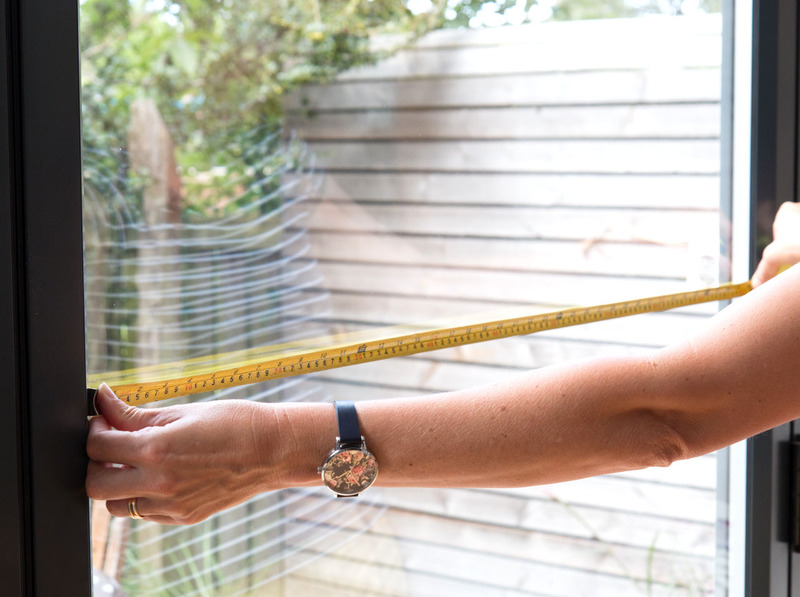 Cut the film to suit the window surface to which you want to apply it. 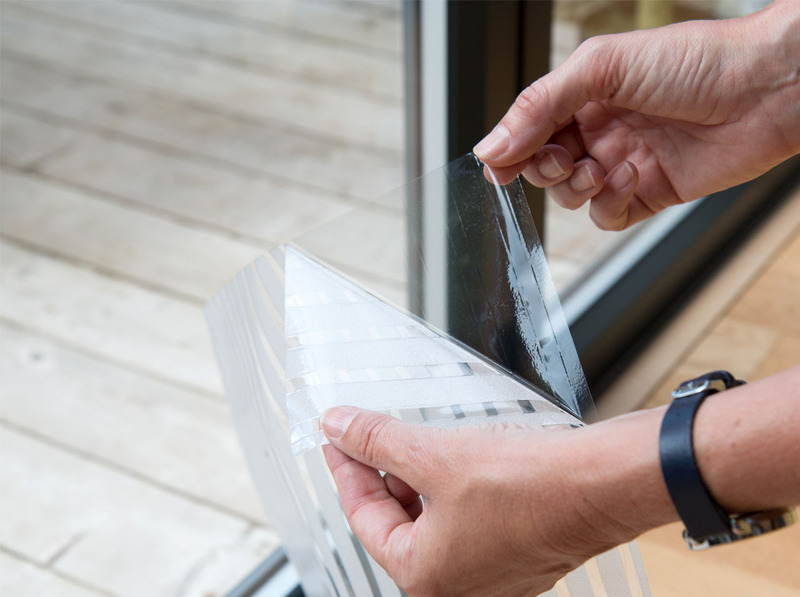 You should allow a gap of 2-3 mm from the window frame or seal so that the film does not detach from the window again. The grid lines on the back will help you with the cutting. You can start to apply the film once you have thoroughly cleaned the window. 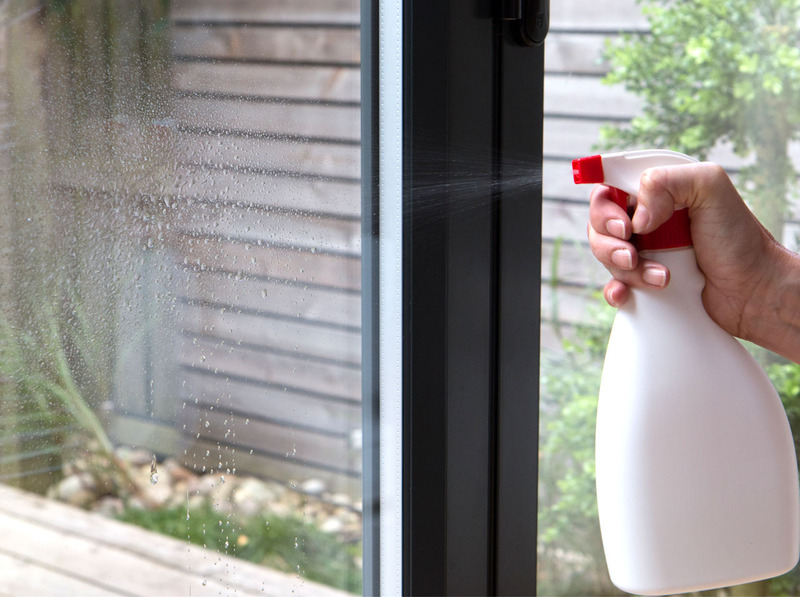 First you have to spray a generous amount of water onto the window because this is the only way that the static film will adhere to the window. Now remove all the backing paper from the film. Make sure that the back of the printed film does not come into contact with the floor or your clothes in order to prevent dirt or dust adhering to it. Now apply the film to the window with light pressure. You can still slide the film into the correct position thanks to the water. Use the squeegee from the d-c-fix application kit to remove all the water from under the film. 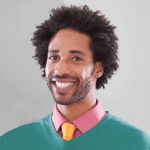 Tip: Work from top to bottom and from the centre outwards to push out all the water. You can also use this tactic to avoid air pockets. 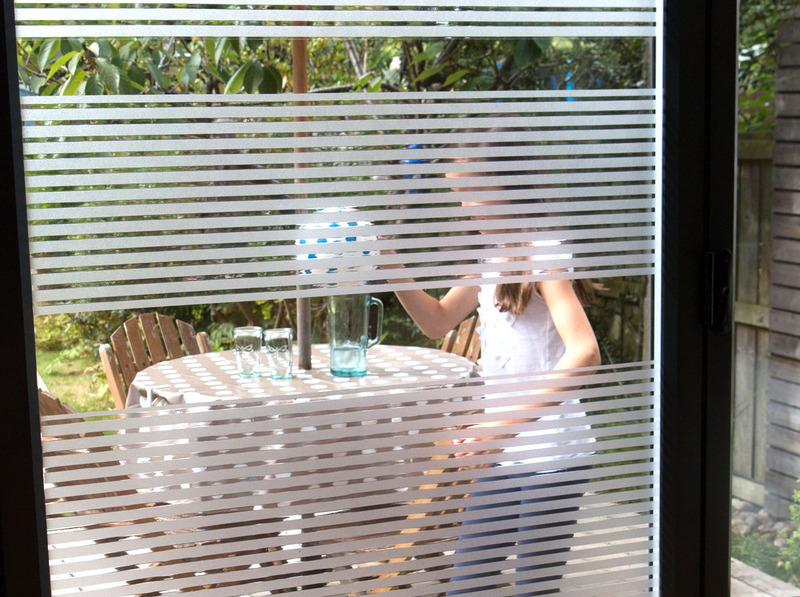 Static adhesive films can be removed from the window without leaving adhesive residues. You can also reapply the film.